Winner, Winner Pinterest Dinner | Top 10 Pinterest Recipes That Worked! I think I will be that adult who orders off the kid's menu her entire life. I am the pickiest eater and always have been. It would be easier for me to come up with a list of foods I do like than to give you a list of ones I don't. I used to have the worst anxiety about it, and still sometimes do. Going to a fancy restaurant? I don't know, let me check out their menu online first to see if they at least have burgers and fries. Because of my picky eating habits, I would be perfectly happy eating the same couple of foods every week. But being married and having kids means feeding more than just myself, so I've had to venture out of my comfort zone and try new recipes to shake up the monthly meal plan. Here are 10 of my top Pinterest-found recipes that have been made more than once and are usually on our monthly rotation--picky-eater approved! 1. 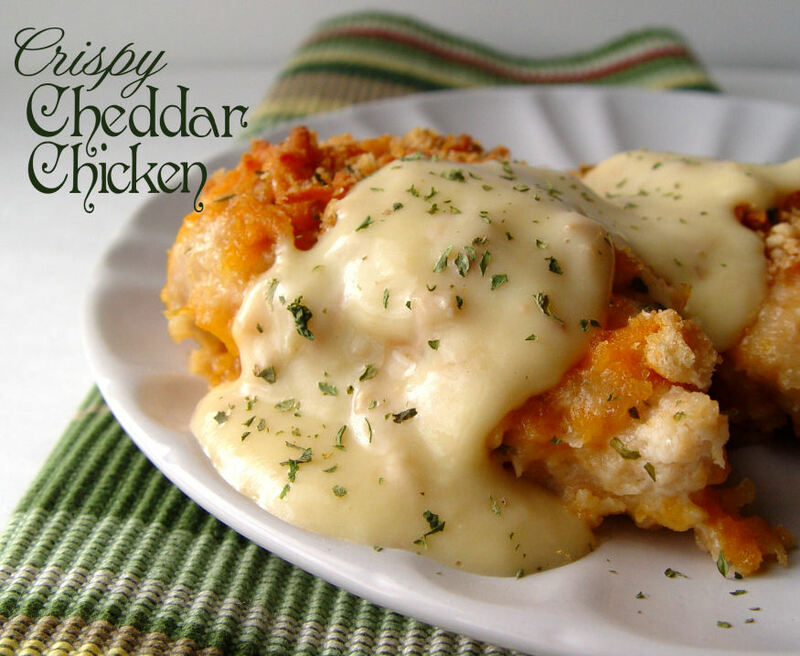 Crispy Cheddar Chicken | I call this Ritz Chicken and I usually serve it over white rice (cooked in broth to add flavor). It is so yummy and I even got my mom hooked on it! It's fairly simple to make, but does take a little work. 2. 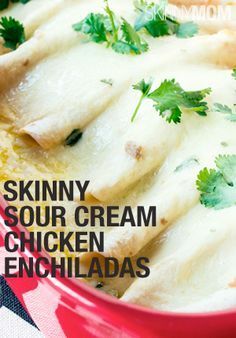 Chicken Enchiladas | Ok. So let me clarify. This recipe is waay modified at my house. I basically take every Mexican aspect out of the recipe and end up with chicken and cheese in a tortilla smothered in sauce. However, my husband likes just about anything so his tortillas contain some diced tomatoes & chiles. It's all about compromise, friends. 3. 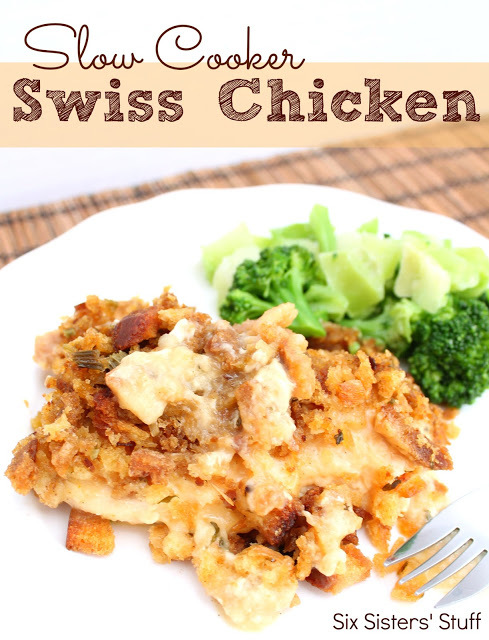 Slow Cooker Swiss Chicken | I call this one Chicken & Stuffing, because it's basically the same recipe my mom always made only with cheese and in the crockpot...both winners in my book! P.S. I don't always use Swiss cheese and it's still good. 4. 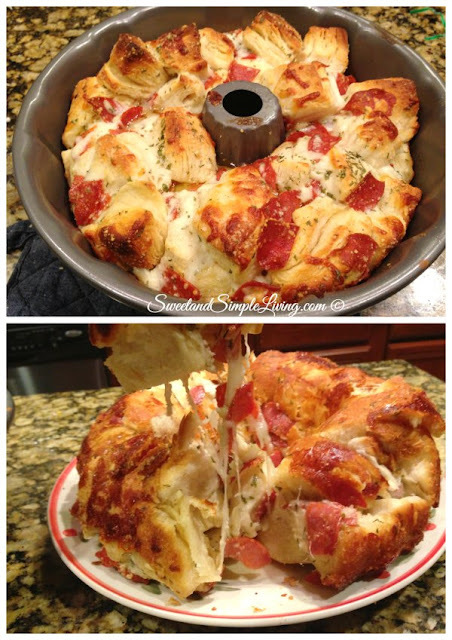 Easy Pull Apart Pizza Bread | Nothing easier than throwing everything in a pan and dipping it in marinara sauce! Yum! 5. 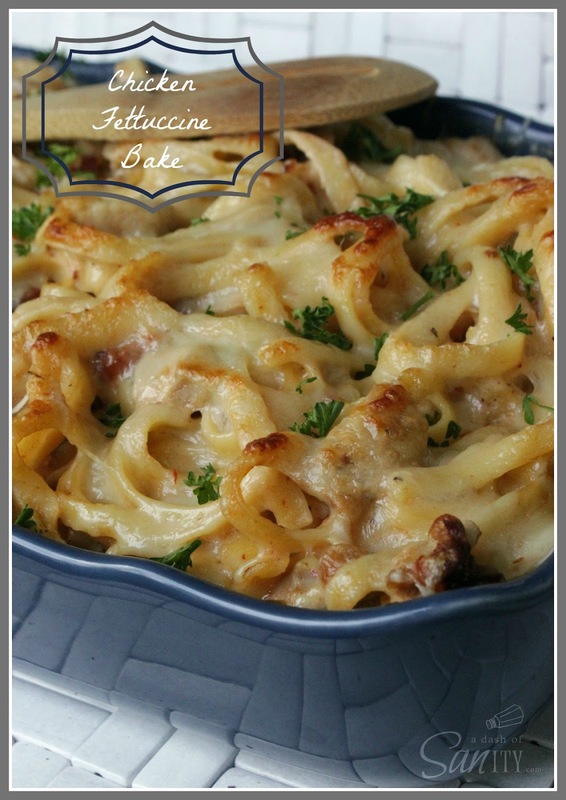 Chicken Fettuccine Bake | This is one of my go-to recipes for having people over. 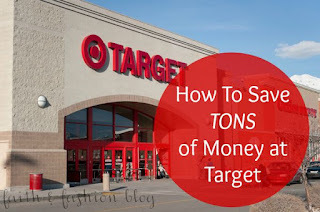 It's super easy to double, too so I like to use it as a freezer meal or to take to new moms, etc. 6. 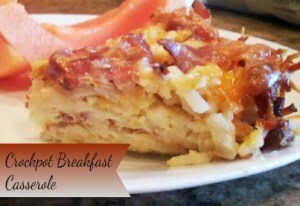 Crockpot Breakfast Casserole | My favorite thing to take to MOPS meetings! 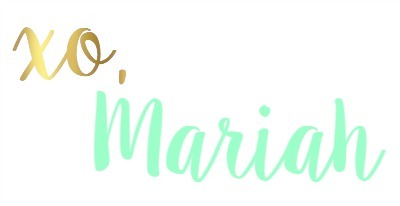 I also love it for Easter or Christmas morning because it can cook overnight in the crockpot. Score! 7. 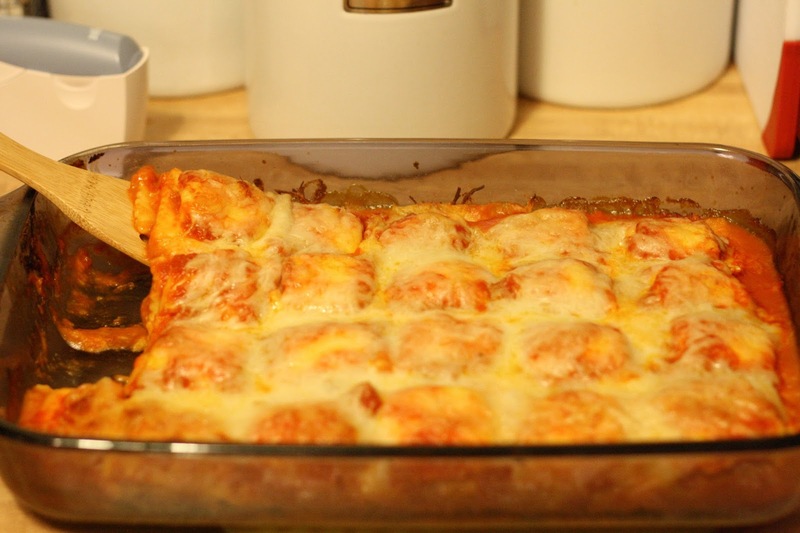 Baked Ravioli | Few ingredients, little work, and super cheap. 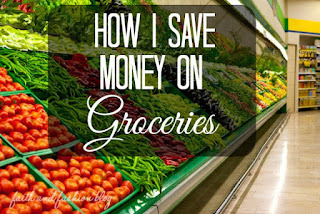 This is a great weeknight meal for busy families and works wonderfully on a budget! Vegetarian friendly, too! 8. 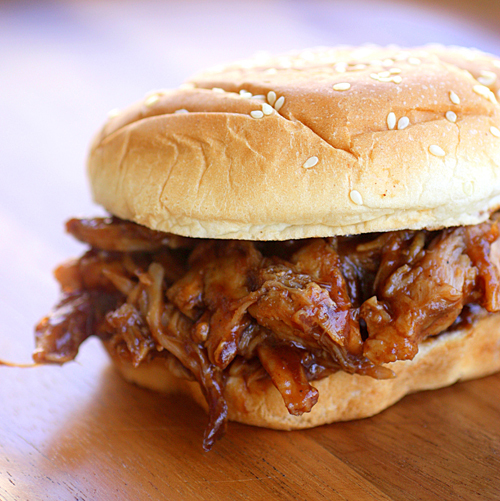 3-Ingredient Pulled Pork | The name speaks for itself here, folks. I add some seasoning too because I eat mine without BBQ sauce and Preston adds sauce to his own in a separate bowl. Thank God he is so patient with me. 9. 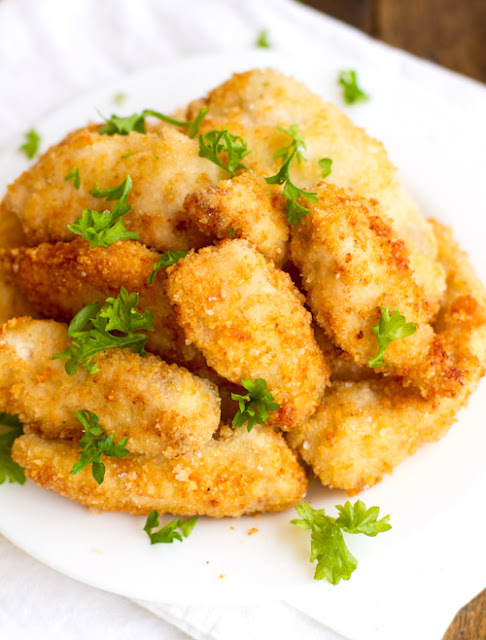 Parmesan Chicken Fingers | Chicken fingers, pork chops, tilapia...this Parmesan breading recipe is my go-to for everything now! The garlic cheese sauce they share in this same post is really good, too. 10. 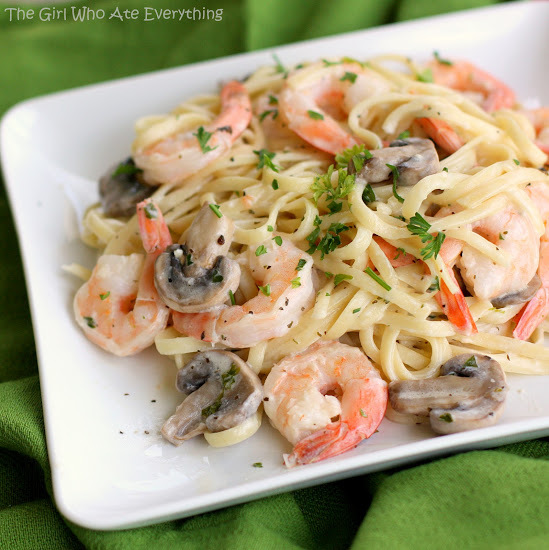 Creamy Shrimp & Mushroom Alfredo | One of my favorites because I love mushrooms and shrimp. I've subbed spinach for broccoli and chicken for shrimp and it always turns out great. Have you had any luck with Pinterest recipes? 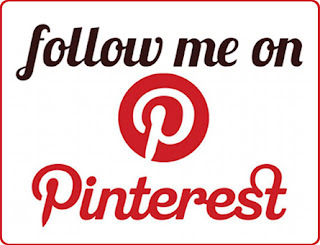 Share your favorites in the comments and follow me on Pinterest below so we can swap recipes! These all look like things my family would enjoy! They are all hits at our house! Ugh, yes! It's a struggle I would love to overcome, but I'm not sure I ever will. I'm thankful for a husband who understands and isn't picky himself! You should check out the blog plainchicken.com. She has a ton of picky-eater friendly recipes--seriously, half of my Pinterest recipe board is from her blog! Apple Picking Fun at Eckert's + a Giveaway!